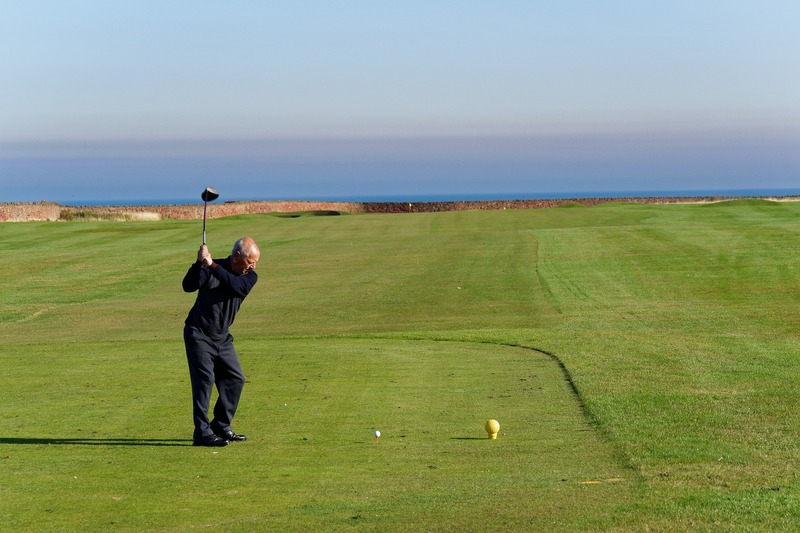 Enjoying a round of golf along the coast can be relaxing, but do consider whether your game would have any impact on the marine environment. If you envision the sea floor being carpetted with golf balls, and not being able to see the sea floor at all, that's about right. That was the scene that greeted free diver Alex Weber as she was diving in Pebble Beach Golf Links in 2016. “You couldn’t see the sand. It was completely white [with golf balls]. [...] It felt like a shot to the heart.” she said, in a NPR article. Golf ball pollution isn't something that readily comes to mind when talking about marine pollution, but with the growing number of coastal golf courses around the world, it is certainly something that warrants consideration. Admittedly, golf balls don't constitute a major source of the global microplastic output, they still have an impact on the flora and fauna in the local community. Over time, their thin polyurethane shell breaks down due to ocean currents, releasing a high quantity of heavy metals (like zinc) and microplastics, and exposing the rubber core within. Small animals like copepods and anchovies consume the microplastics that are released into the currents, while golf balls have been found in the stomachs of whales and seabirds. To date, combined with the efforts of the Monterey Bay National Marine Sanctuary and the Pebble Beach Corporation, Weber, her father, her friend Jack Johnston and co-author ecologist Matthew Savoca have retrieved about 50,681 golf balls, as reported in her paper published in the Marine Pollution Bulletin. According to University of Toronto scientist Chelsea Rochman, much of the microplastic in the world's oceans are so degraded that one cannot tell where it had originated from. However, this is not so with golf balls: "They're different from other types of plastic pollution—you've got a very clear point source." As more and more wayward golf balls continue to be lost to the seas, Weber, in an article in Hakai magazine, hopes that her work will act as "“a catalyst for not only a policy change but a mindset change in the golf community,"